Want something unique? 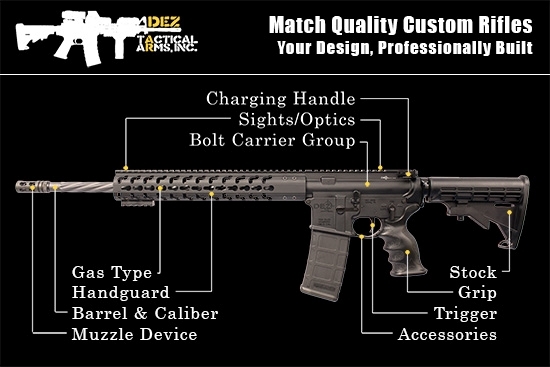 Choose all of your parts and we will custom build your rifle! All rifles are professionally built to order and tested working in our facility before shipping. Every rifle is run through our 40+ point QC inspection, test fired and certified. Best of all, your rifle is backed by our lifetime warranty that guarantees absolutely no manufacturing defects.